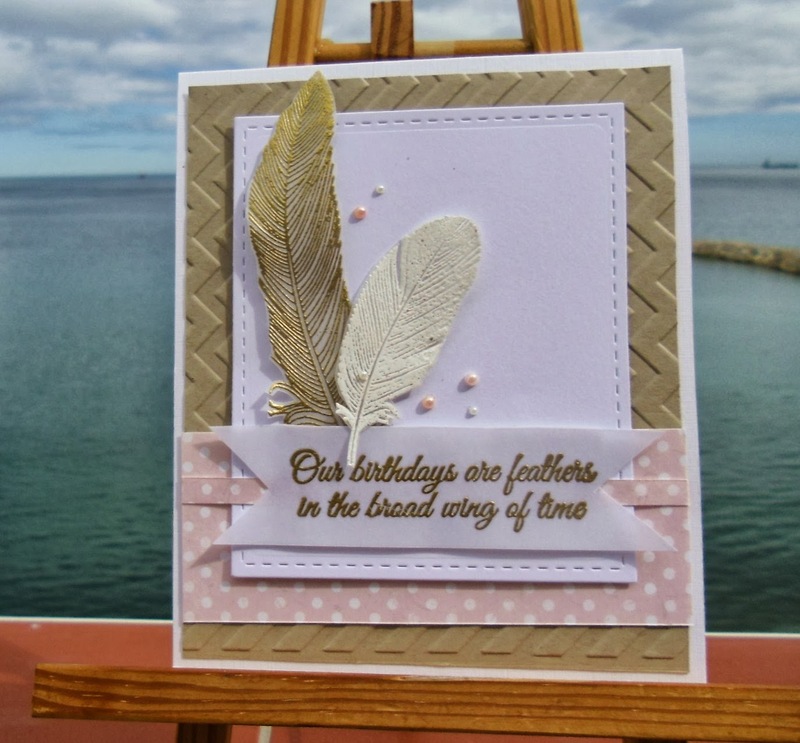 Doesn't Clearly Besotted have the most lovely feather stamps? I love your soft pinks and neutrals - a beautiful card! A very pretty cas card Sylvie. The design and colours look fabulous. Gorgeous card Sylvie. The feather images looks wonderful and I love the colours. Shame you missed out on the challenge! Great card Sylvie, love the feathers. Gorgeous card Sylvie. Love the soft colours you've used, plus those gorgeous CB stamps. Isn't it annoying when you miss a deadline? Beautiful card Sylvie, love the colours and those feathers are gorgeous. Hang on to that weather please, we are having flying to Spain next week and hoping for good weather!! This card is breath-taking, Sylvie! It's a shame you missed the challenge, but thank you for posting for us to see! !